Toilet found in the Facility level background. There are two different versions of this object. The first is basically what was found in GoldenEye. I refer to this version as the "stall" model. It's meant to be blocked in from the sides, so you can't see that there are missing polygons. I added these sides on in the "full" version. In case you want to position a toilet someplace where it is not blocked in, this would be the one to use. It has an additional eight polygons, so choose which one you need based on your level design. Open up your ROM in the Model Editor menu, select "Object" type from the list, and choose the prop model in which you want to replace. After clicking "Edit", click on the "Import Model as Template" button on the lower left of the menu. From this window, choose the model template file. Should another window then pop up asking you to choose a ROM to save as (since new textures are being added), either select an existing one, or else type in a new name, then save. Once the model has finished importing, simply click "Inject into ROM and Update" to save your ROM again. If you do not inject the file into ROM, it will not be saved into it. This will replace the original GE object with the new one, and it will be ready to use in your custom setups. I do not recommend allowing this object to be destroyed. After testing on console, I found that only the water will remain visible, and the rest of the model will vanish. This may likely be caused by the way the file is arranged. 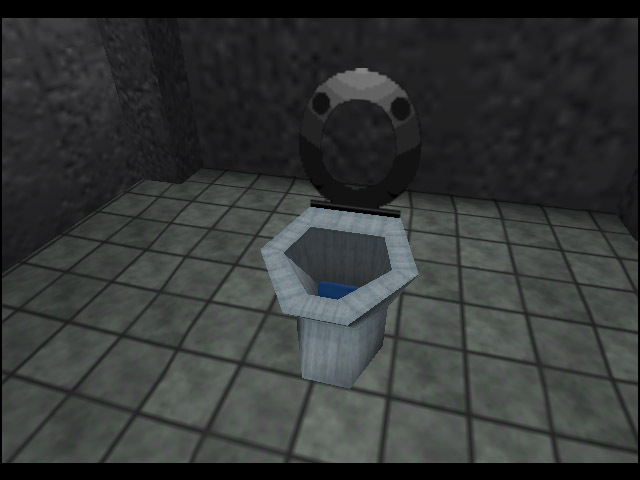 It allows the player to shoot through the toilet seat and water texture, which would otherwise cause the game to crash. Props cannot use water type images correctly, so this was my workaround (rather than a new water texture that leaves bullet holes). Be sure to set the Invincible bitflag on, and whenever possible, test on console. Should the clipping tile colours in the level affect props such as this in a negative way (either becoming too dark, or when multiple in use and they each appear differently shaded), you can use an object bitflag to keep it brighter. Using "00000400 00000000" will ignore the clipping colours, which may help the situation.